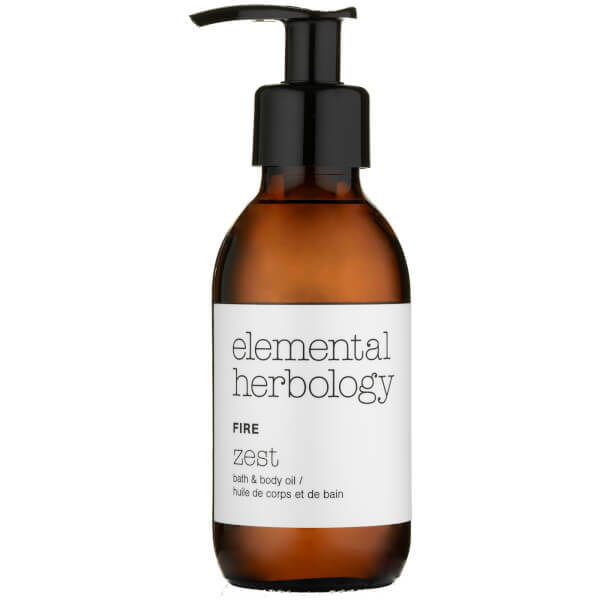 Invigorate the senses and pamper skin with the Fire Zest Bath and Body Oil from botanical skincare brand Elemental Herbology. 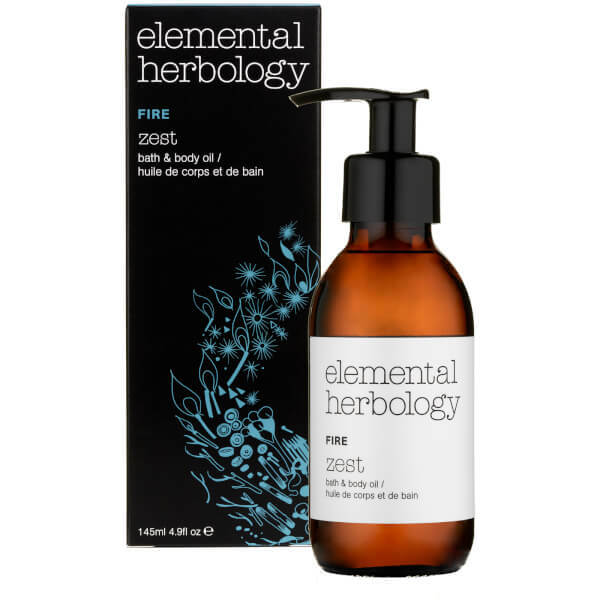 Suitable for use during and after bathing, the exquisite formula delicately balances a selection of naturally derived essential oils, which release a powerful aromatherapy experience to promote a sense of euphoria and energy. Featuring a base of Sweet Almond, Jojoba and Rosemary to name but a few, the blend rapidly absorbs to hydrate and nourish for sumptuously soft skin with long lasting results, or can be added to a freshly drawn bath. 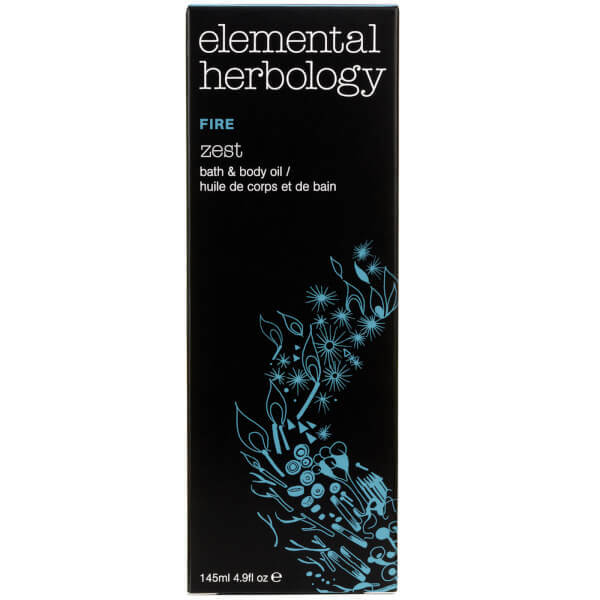 Essences of Orange Peel, Ylang Ylang and Basil Leaf create a fiery, effervescent fragrance that stimulates the mind and promotes a sense of clarity and focus. 100% Natural. Suitable for vegans and vegetarians. Caprylic/Capric Triglyceride*, Prunus Amygdalus Dulcis (Sweet Almond) Oil*, Simmondsia Chinensis (Jojoba) Seed Oil*, Citrus Aurantium Dulcis (Orange) Peel Oil Expressed*, Rosmarinus Officinalis (Rosemary) Leaf Oil*, Cananga Odorata (Ylang Ylang) Flower Oil*, Origanum Majorana (Marjoram) Leaf Oil*, Citrus Reticulata (Tangerine) Peel Oil*, Ocimum Basilicum (Basil Linalool) Oil*, Tocopheryl Acetate*, Citral*, Benzyl Benzoate*, Benzyl Salicylate*, Eugenol*, Isoeugenol*, Farnesol*, Geraniol*, Limonene*, Linalool*. *Ingredients derived from 100% natural source.